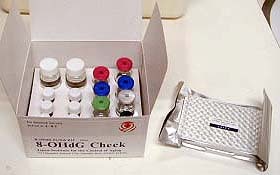 New 8-OHdG Check ELISA kit is designed to be used easily. Followings are technical tips to have the best results using this product. Please read the instruction manual enclosed in the product package. These tips may be useful in using other ELISA products such as 'Highly Sensitive 8-OHdG Check' and 'HEL ELISA kit'. Please confirm that some experimental conditions are different from that of 'New 8-OHdG Check'. Bring out the package from refrigerator, and stand for 1 hour at room temperature. Open the package. Conponents which will not be used in 2 hours should be stored at refrigerator. Remove the desiccant attached at the base of the plate. If you are planning to use some wells on the other day, please remove strip wells from the frame, and store at 4 °C in the bag. Prepare primary antibody reagent. Mix one vial of primary antibody solution to primary antibody vial. Pour 50 micro L of samples and standards to wells accurately. Inaccuracy of the pipette volume may cause errors of 8-OHdG results. In some cases, 'edge effect' can be observed at upper and bottom row. 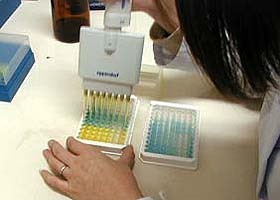 Please take care that samples and standards must be applied to the well first, and subsequently primary antibody reagent. 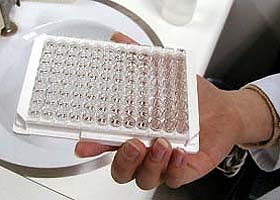 Start antigen-antibody reactions by pouring 50 µL of primary antibody reagent to all well but blank well. Instead of primary antibody reagent, 100 µL of PBS or wash buffer should be poured to blank well. Inaccuracy of the pipette volume may cause errors of 8-OHdG results. The bottom and side wall (up tp 5mm from the bottom) of the wells, 8-OHdG antigen is precoated. Please take care not to touch or scrape by pipette tips. Tap the side of the plate gently for 3 to 5 times, and mix the content of wells. 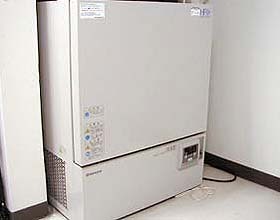 Incubate for one hour (50-70 minutes) in the water bath or incubator controled at 37 °C. Please take care to incubate not longer than 70 minutes. Temperature control is very important for the reproducibility of data. Please take care that the temperature is controlled uniformly. If your results would not be stable, please try water bath. Hold the plate tightly to prevent the splits falling. 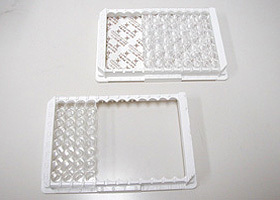 Use of automatic washing machines or aspirators may result in high background, and not suitable for 8-OHdG ELISA. Please wash the plate manually. Put the micro plate upside down, and swing to discard the reagent. This process is very important for reproducibility and blank. This product is based on competitive ELISA system, and very sensitive for trace well-to-well cross contamination of primary antibody. 1) Please swing vigorously, and discard reagent. 2) Hold the plate contiously upside down, and put on new paper towels to remove water drop. 3) Pat the plate to the paper towel. Tap the plate to new paper towels vigorously for 5 times, and remove water drop. Please take care not to dry up. Don't touch or wipe inside the wells. Replace the paper towel when it becomes wet or polluted. 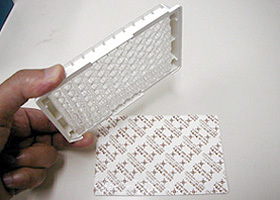 Pour diluted washing reagent 250 µL/well using 8 channel pipette. Washing reagent should be poured into the well in 3 minutes not to dry the well. NOTE: Dried wells may cause non-specific increase in absorbance or instability of data. 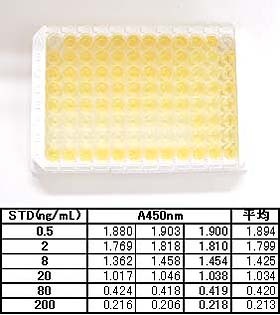 As mentioned above, this product is based on competitive ELISA system, and very sensitive for trace contamination of primary antibody between wells. 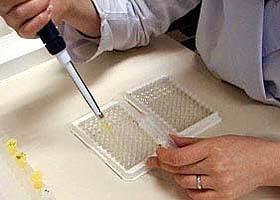 Please take care not to touch the pipette tip to the wells, to prevent well to well transfer of primary antibody mediated by pipette tips. Contamination of primary antibody may cause increase in absorbance at blank well. Perform washing process for 3 times as described above. Finally, discard washing reagent from wells, and remove water drop from the inside of the well. Pour secondary antibody reagent 100 µL/well to all well. Please take care not to dry inside wells. Please take care not to dry up. Don't touch or wipe inside the wells. NOTE: Replace the paper towel every time. 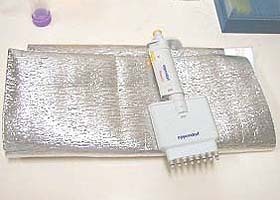 Residual secondary antibody may cause non-specific increase in absorbance or instability of data. NOTE: Please use new paper towels to prevent trace contamination of secondary antibody. Please confirm that water drop is not exist inside the wells. NOTE: Residual water drop may cause non-specific increase in absorbance. 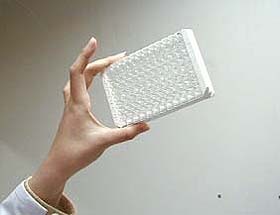 Pour substrate solution 100 µL/well to all well. Incubate for 15 minutes at dark place. Please take care that not to prolong the reaction time. NOTE: Substrate solution can react faster depending on the temperature. If the room temperature is high (> 25 °C), please try to shorten the reaction time from 15 minutes to 10-13 minutes. Add 100 µL of reaction terminating solutuion to all well. 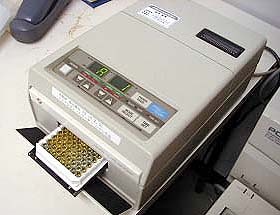 Measure aabsorbance at 450nm by micro plate reader. 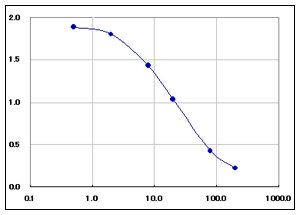 Draw standard curve, and calculate 8-OHdG concentration in samples. The absorbance at 0.5 ng/mL of 8-OHdG standard is designed to be between 1.6 and 2.0 at 25 °C. But it may be 1.4 to 2.2 depending on experimental conditions such as room temperature. a) High absorbance, but can draw standard curve: Try to shorten substrate reaction time. b) Absorbance at blank well is too high: Please check washing process. c) Please don't mix reagents from different lot. d) Please confirm that sample pretreatment is done correctly. 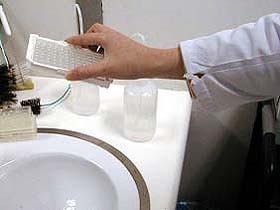 In some cases insluble materials can be observed when urine sample is thawn. Please remove insoluble materials by centrifugation. 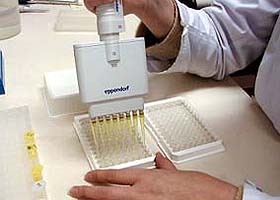 e) To detect 8-OHdG in serum samples, please remove proteins by ultra filtration before assay. g) If abnormal results are expected, please try to dilute samples by PBS(pH7.4). But even if some damage would caused by such faults, we will be exempt from responsibility.